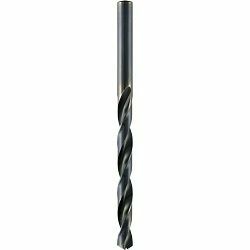 5,60 mm Jobber Drill DIN 338 (601005601) | DamenCNC B.V. Premium Quality twist drills for drilling steel and steel castings, alloy and plain carbon, grey iron castings, copper-alloys, nickel silver, graphite, aluminium alloys etc. Its a general purpose all round drill. Price/Quality ratio is excellent. For drilling steel and steel castings, alloy and plain carbon, grey iron castings, copper-alloys, nickel silver, graphite, aluminium alloys etc.